Our final visit to Marians Inclosure which is a very large part of the forest going from Christchurch down to the River Wye. 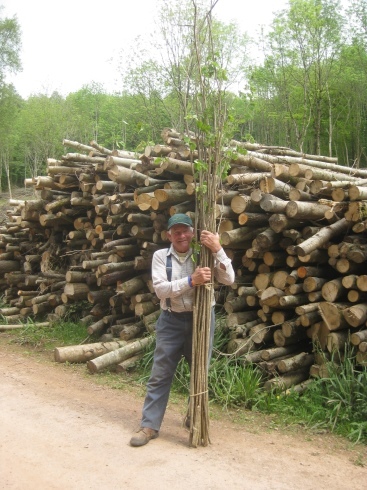 The contractors had been in and coppiced a three acre site. 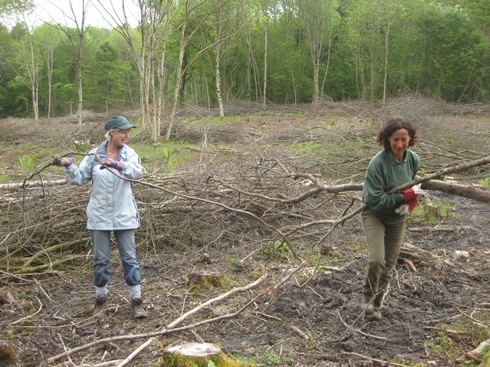 We finished taking the coppiced brush to build large and wide hedges around the area. This was to deter the deer from nibbling on the new shoots which would appear at the base of the coppiced stumps. The site is now fully enclosed by the hedge. This was our last day of active work until September although there are a lot of dates for butterfly surveying planned for the summer. Just to show that the ladies can be active too! 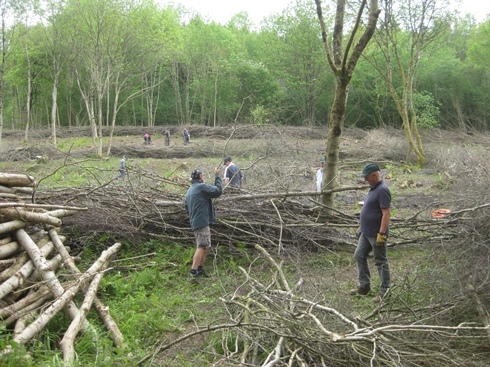 This shows some of the extent of the site we hedged and the team are filling up the last hole in the hedging. A useful sideline to our work is that we can collect and take home bean sticks for the runner beans!